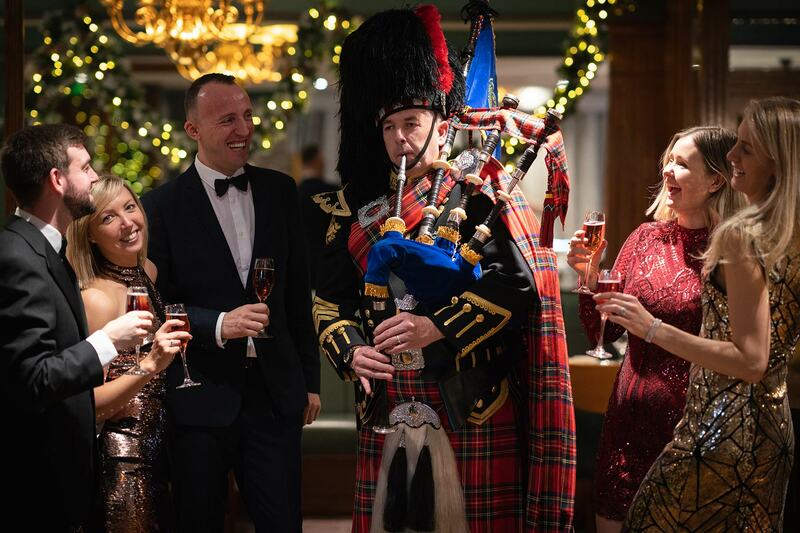 A party night full of festive fizz, fantastic food, party games and dancing into the early hours. Includes; arrival drink, four course meal and dancing. Tables dressed with crackers, hats and novelties. Bookings available for groups of 2 to 120. Start the night as you mean to go on with cocktails & canapés, followed by a seven course menu. Afterwards join our live band & DJ and enjoy a lovely glass of fizz at midnight!